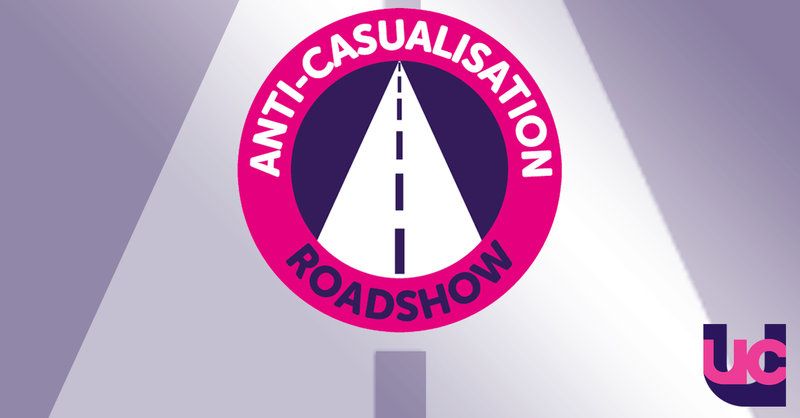 The Anti-Casualisation Roadshow: taking the fight against casual contracts around the country. UCU's Anti-Casualisation Committee is encouraging all branches and regions to get involved in building our organisation among casualised staff. Following from UCU's successful anti-casualisation training day, activists and reps around the country are organising local events that are aimed at getting new people involved in our union's campaign. We've produced a full set of guidance notes for people who want to put on an event and contacts to help you with more information and support. So if you want to put on an event near you, have a look at the guidance notes [709kb] and get in touch.